Square Salami Piller with Mustard Seed - 1 lb/454 gr, USA. A lean mixture of pure pork finely chopped with mustard seed and a hint of garlic. 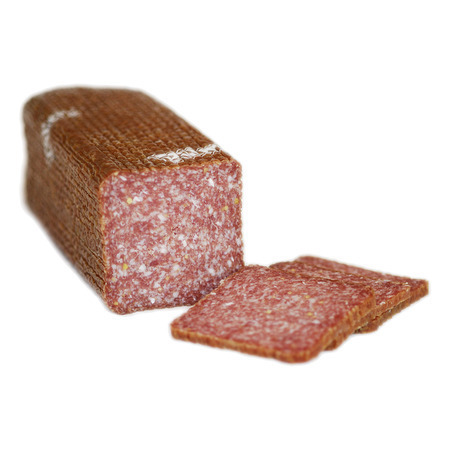 During fermentation, the salami is pressed to produce its square shape. 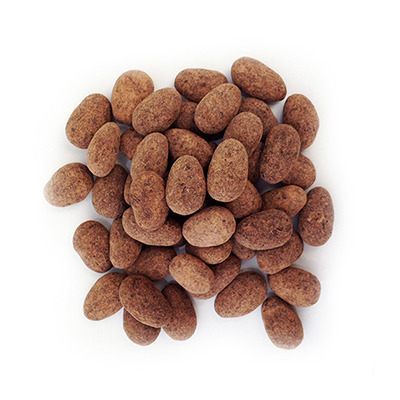 Product is gently smoked for 7 days and air dried for a minimum 28 days. Ingredients: Pork, beef, salt, mustard seeds (contains sulphites), glucono delta lactone, dextrose, corn syrup solids, spices, sugar, sodium ascorbate, lactic acid starter culture, smoke flavour, sodium nitrate, sodium nitrite, smoke.